Northern India and Rajasthan have all the ingredients for an uber-romantic honeymoon. Enjoy an insider's view of Old and New Delhi, discover the jaw-dropping Pink City of Jaipur and marvel at the Taj Mahal, the world’s greatest monument to love - then unwind with some beach time in Kerala or Goa. If India doesn’t work its magic, nothing will. 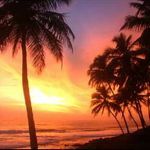 A honeymoon to India is one of the most wonderfully intoxicating experiences and you can’t find a more romantic region than Rajasthan. 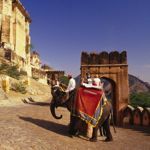 We offer a wide range of private tours to India but the most popular and perhaps the ultimate luxury honeymoon has to be our luxury 14-day Rajasthan Rendezvous private tour. You will experience the culture, grandeur, excitement and bustle of the famous ‘Golden Triangle’ on this private journey for just the two of you. Visit the Taj Mahal at Agra, prepare to be awe-struck by Jaipur’s palaces, scale the heights of the Meherengarh Fort in Jodphur and visit the heavenly Lake Palace at Udaipur. There is also time to relax in and explore rural Rajasthan. As you would expect on a luxury honeymoon, you will have your own guides and a private car and driver. When it comes to hotels, you will be pampered all the way. We can tailor your choices to suit your budget from comfortable hotels to quirky boutique gems and the ultimate in luxury resorts. Our well-travelled team can add on some wonderful experiences to make your honeymoon even more memorable. Go on safari to see the tigers, head out into Jaisalmer’s desert, take the train to Shimla in the Himalayan foothills or fly to Goa or Kerala for some beach time. The best time to travel is from October to March. 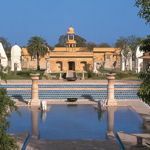 Find out more about our Rajasthan Rendezvous honeymoon.